On the 28th July, we welcomed our precious little man Elijah George into our lives. This is his birth story. My pregnancy with Elijah was text book – in the sense that it was one of those of pregnancies that progress with no complications and very little discomfort. Like my previous two pregnancies, I physically felt well and joyful. However, after losing our darling second born, Xavier to SIDS, my anxiety was a different story. Losing a child opens your eyes to a whole new world. A world where previously healthy babies are born still, where there is no magic 12 week safety marker, where you can do everything right and still lose your precious child. Where you are acutely aware of just how common stillbirth remains despite the fact no one talks about it. Where a positive pregnancy test does not guarantee a positive outcome. Where newborn babies can die without a reason. Every kick was a welcome reassurance, followed closely by the panicked thought that perhaps that was the last kick I’d feel. My doctor was amazing. He guided me through that anxiety without questioning its validity. Each scan gave me the reassurance I needed. Each time I heard the words “perfectly normal”, I could exhale for a moment. And when Elijah failed to turn up at around 36 weeks like his brothers, he okay’ed induction at 37 weeks + 2 days. Elijah weighed a good amount and his head was measuring term, so we were both comfortable with this. Particularly as my anxiety was rising after one of the women I knew through a subsequent pregnancy support group lost another child to stillbirth a few days before her scheduled induction at 39 weeks – she had asked for an earlier induction and it had been denied her. 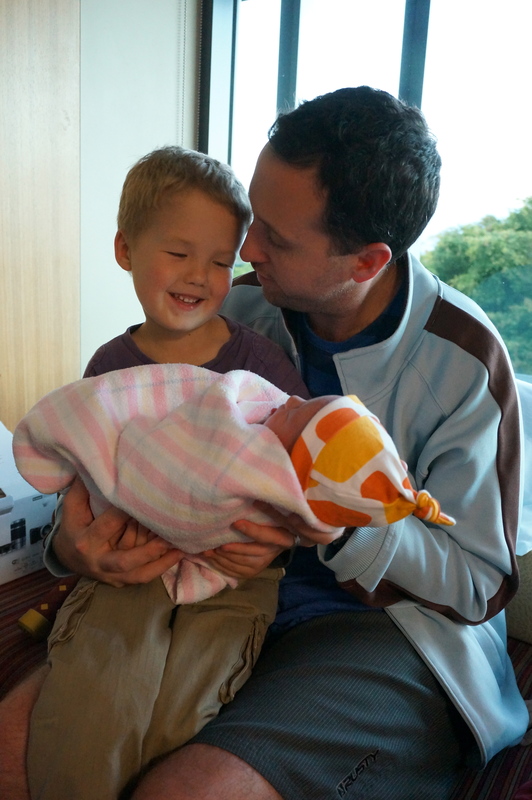 On the morning of induction my husband and I calmly made our way to the hospital, comparing it to our previous two trips when I had been in labour by this point. I even applied some make-up though I have no idea why I thought that it would last through labour. We arrived and met up with my sister, Paulina, who has been present at all the boy’s births. We were quickly showed to our birthing suite by our beautiful midwife, Nikki. I set up Xavier’s photo and my birthing necklace. The necklace is made up of beads that each of my family and girlfriends had given me at my baby shower/blessing – each bead representing a different wish for Elijah and I. Paulina placed oil into a burner. The room felt good. At 8:30 Nikki broke my waters. It was probably the most uncomfortable part of the labour but it meant the beginning. I had hoped to avoid the syntocin drip and was able to wait a couple of hours to see if I went into labour spontaneously. I bounced on the birthing ball as we chatted and laughed. Paulina and I belly danced around the room, laughing as my doctor came into the room a moment after we stopped. That dance is one of my precious memories from Elijah’s birth. My doctor prepped me for the drip but said we could wait a while to administer the syntocin. Paulina performed acupressure in the hopes of getting labour underway. At about 10:00 I started to get mild contractions. As in my previous labours, these were very mild but still relatively close together. I could talk through them and had to pay careful attention to my body to tell when they eased off. By around11:30 the contractions had strengthened and the syntocin was decided against. As I started to need to lean on the sink to brace myself for the next contraction and let out a low moan, N exclaimed, “we’re on – baby will be here at around 12:30”. I moved between shower and toilet as I felt myself go into transition. That uncomfortable place of confusion and irritability – where you don’t know what you want and you can’t answer anything sensibly. As I stood in the shower, Nikki asked “so are we going to have a baby?” “I think so,” I moaned, unable to be committal even about the obvious. N ran the hot water over my back in the shower. Some abstract part of me noted how cute he looked in the scrubs Nikki had given him to wear in the shower. Sitting on the shower floor, I tried to regain some control and I whispered “breath out fear – let it go.” I moved to the bed, willing the pushing part to come on. Paulina and N stood on either side of me, applying acupressure. Finally the urge to push and I felt I needed to be on the toilet. Nikki quickly retrieved from there – “you can’t have baby here” she gently reminded me. I had intended to give birth on all fours as I had with Elijah’s brothers, but there was no time to climb on the bed. Instead, I leaned on the bed to give birth standing up. My doctor was called at 12:35 as birth was imminent. Paulina and N continued to support me through acupressure. As the next urge to push came I let out a large primal roar. It wasn’t a cry of pain, it was powerful and empowering – the roar of a lioness. I listened to Nikki as she instructed me to push just a little and breathe and then the words every labouring mother wants to hear “next push, and baby will be here”. I let a few joyful tears fall before the final push, roar and sensation of pure joy and relief. I held Elijah as Nikki passed him to me between my legs, cord attached. I held my baby in my arms for the first time. It was 12:39. We made our way to the bed, where Paulina cut the cord. Not long after my doctor arrived to deliver the placenta and the happy news that all was intact, just a small graze. The atmosphere in the room returned to light and jovial as Elijah started his first feed. I felt loved, supported and listened to through the whole labour. Xavier was very much in the room with us. 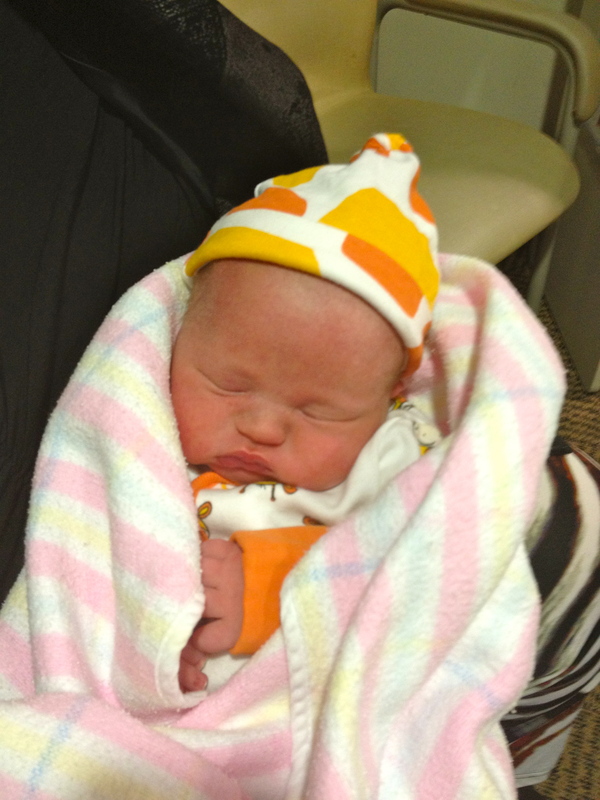 During Elijah’s first few days we were supported by the gorgeous midwives and baby care assistants at the Mater. They listened as I talked about Xavier. They told me how beautiful Elijah was. They allowed me sleep when I desperately needed it and were kind and supportive in every way. On the afternoon of Elijah’s birth, my eldest son Isaac and my husbands family, including my darling nieces and nephews, met Elijah. The love in Isaacs eyes melted my heart. It was strange to feel such contentment whilst being acutely aware that there should have been a little one year old Xavier meeting his brother. But as the colours of sunset glinted of Xavier’s picture, I knew he was welcoming his little brother in his own sweet way.